"Surmounting the Obstacles", 2nd session of the Zero Nuclear Weapons Forum, Toronto City Hall, 14 November 2009 from 10:00am-12:30pm. Thanks to the organizers. Welcome. It was a treat to hear all the speakers last evening. Jonathon Schell and Mayor Akiba of Hiroshima last night both conveyed a deep sense of the urgency of this time, and reminded us of the enormous sense of expectation that attends this genuinely historic moment. The possibilities for finally locking in some significant gains in the slow movement toward zero nuclear weapons are truly unprecedented. The path toward a world without nuclear weapons is already well marked - many of the steps to be taken have been developed and agreed to in the multilateral review process linked to the Treaty on the Non-Proliferation of Nuclear Weapons - the NPT. To a surprising extent, we know who has to do what to take the next concrete steps towards a world without nuclear weapons a reality. But this morning we're not talking about what has to be done, instead, we've been tasked to look at another part of our reality - and that is the very real obstacles to doing that which must still be done on this road to zero. I want to focus briefly on four important challenges that have to be met. They aren't necessarily the biggest - like the complex of military, industrial, scientific, and security constituencies that endure as committed nuclear retentionists - but they are issues that need serious and sustained attention. Then I hope to conclude with a few bits of friendly advice for Canadian policy-makers. 1. The first challenge is that posed by the real and potential proliferators within the NPT. As you know, the NPT is the core global law on nuclear weapons. The five states that had them when the Treaty was signed in 1968 are required to disarm; all other states must never acquire nuclear weapons. In one sense it has worked extremely well; of all the non-nuclear weapon states that signed the Treaty, only North Korea explicitly violated that commitment - pursuing a weapons capability while part of the treaty, then withdrawing and acquiring weapons. Some, like South Africa, pursued nuclear weapons, but then signed and moved into full compliance with the Treaty. Iran, as a Treaty member, has certainly not acquired nuclear weapons, but it is pursuing technologies, for a time it did it clandestinely, that raise serious questions as to its intentions. So, out of 183 non-nuclear signatories, only two (North Korea and Iran) are now in formal noncompliance with their Treaty-related obligations. The disarmament part of the Treaty has, of course, not worked nearly so well. But, as we heard last evening, the disarmament agenda is finally starting to get some serious traction. Now, as disarmament advocates we get justifiably impatient when nuclear weapon states keep changing the subject, away from disarmament and to nonproliferation. But, in the context of the priority objective of disarmament, we still need to affirm the absolute importance of getting the nonproliferation issue right. Few developments would be as durably devastating to disarmament hopes as would a pervasive and deep-seated suspicion that the nuclear nonproliferation regime is ultimately not reliable - that it is not up to the task of stopping or reversing the proliferators. Disarmament requires a nuclear nonproliferation regime that earns the overwhelming confidence of the international community. In a world in which all nuclear weapons are finally banned, the system of monitoring and inspections will be the primary barrier to nuclear breakout and resumed arms competition. Nuclear technology, materials, and knowledge will continue to be present throughout much of the world via civilian programs, and there will be more and more who have the capacity, and there will always be some who have the temptation, to convert that knowledge and material into weapons. So, we need a detection and verification system that is continuously effective and has the confidence of the international community - and Trevor is going to talk a lot more about that. I simply want to add that the successful resolution of the DPRK and Iran cases is essential to building that confidence. [The question was asked last evening about the implications of Iran acquiring a weapon - but there are repercussions even if Iran does not acquire a weapon, for the longer the IAEA has to say that Iran is not fully cooperating or that unresolved issues remain, the more the nonproliferation regime is undermined.] Both cases have benefited from a new infusion of more sensitive diplomacy and creative proposals, but they both continue to be very difficult problems, and as long as they fester, confidence in the nonproliferation regime continues to suffer. And already the fierce opponents of global zero in the US are bolstering their arguments against CTBT ratification, for example, on grounds that America should not lower its nuclear guard at a time when the nonproliferation regime is proving to be powerless to stop the spread of nuclear weapons to determined proliferators. 2. A second challenge is represented by the states with nuclear weapons that are outside the NPT. Three de facto nuclear weapon states have always been and still are outside the NPT (India, Israel, and Pakistan). India's status as a state with nuclear weapons was granted a level of formality when it was exempted from the Nuclear Suppliers Group prohibition on civilian nuclear cooperation with any state not under fullscope safeguards. Pakistan has really won the same recognition by default. The UN Security Council Resolution (#1172 of 1998) that required India and Pakistan, in the wake of their 1998 nuclear tests, to end their nuclear weapons and ballistic missile programs, was never heeded and then rendered irrelevant by the Nuclear Suppliers Group action. So we now have a situation in which India and Pakistan are essentially accepted as nuclear weapon states, but without being formally bound by any of the obligations that accrue to Nuclear Weapon States - notably Chapter VI (the disarmament chapter) of the NPT. Furthermore, while NWS in the NPT have signed the CTBT, India and Pakistan have not (US and China have signed but not ratified). And while NWS have put a moratorium on producing fissile materials for weapons purposes pending the negotiation of an FMCT, India and Pakistan have not (indeed, India is positioned to accelerate production when it imports uranium - possibly from Canada - for civilian purposes because then its domestic supply can be more fully dedicated to military purposes. That in turn puts pressure on Pakistan - and soon you what you could call a nuclear arms race. Canada, of course, is actively pursuing a civilian nuclear cooperation agreement with India, and we'll see whether Foreign Affairs is able to attach some nonproliferation conditions. It should, for example, be clear, at a minimum, that any further test would immediately end all cooperation (the preference, of course, would be that India sign the CTBT). In particular India should be pressed to offer credible assurances that it has joined the five officially recognized nuclear weapon states in halting all production of fissile material for weapons purposes. Israel obviously also remains outside the constraints and obligations of the NPT - and it is clear that a remedy will have to be pursued in the context of efforts toward esstablishing the Middle East as a nuclear weapons free zone and a zone free of all weapons of mass destruction - that will be a difficult process, to put it mildly, but at least discussions have begun about appointing a special envoy, or to hold a special conference to give some energy to that agenda. 3. A third major challenge to nuclear disarmament is the steep imbalance in global conventional military forces. Current levels of US conventional military spending, along with the posture of NATO, will not incline Russia toward zero nuclear weapons. Look at the statistics (2007 military spending): The US spent (in its basic defence budget) $552 Billion, or 43% of world total. Russia was at $32 Billion, or 2.5% of the world total. Russia, India, and China combined made up 8% of world military spending, while NATO's share was 67%. At an almost 20:1 disadvantage, Russia, justified or not, will obviously continue to look to nuclear weapons as the way to level the strategic playing field. The point here is not that general and complete disarmament is a prerequisite to nuclear disarmament - not at all. But it does suggest that nuclear disarmament requires the pursuit of cooperative security rather than competitive security, and it requires a fundamental rebuilding of security relations between the West and Russia, and China. The overall security objective needs to shift from mutual deterrence, to mutual, and demonstrable, reassurance. 4. 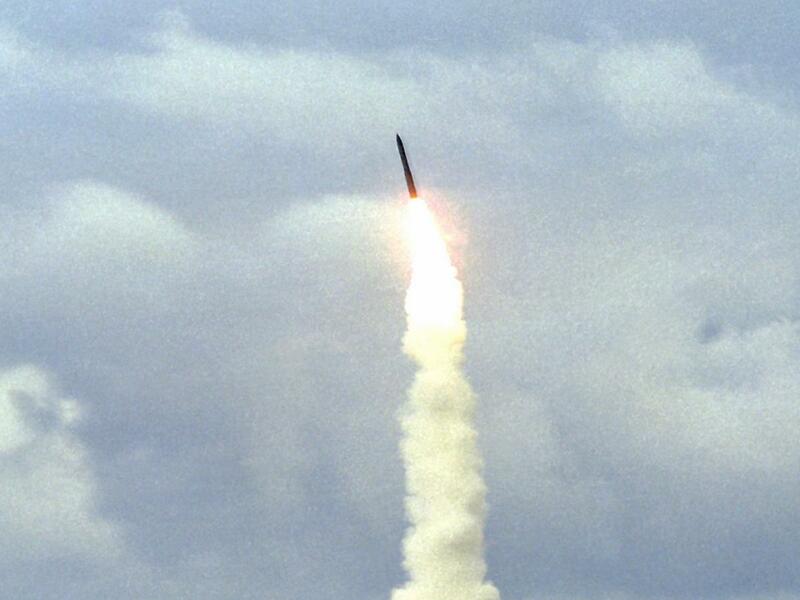 Fourth, NATO nuclear doctrine persists as another impediment to disarmament. There isn't time to expand on this (see Annex I), except to say that nowhere is the need for reassurance as an alternative to deterrence greater than in NATO. And, of course, the current review of NATO's Strategic Concept is the place to begin. Both the rationale and the language for a new approach to nuclear weapons are available in the growing anthology of nuclear abolition statements that has emerged in the last few years from figures like Mikhail Gorbachev, Henry Kissinger, Barack Obama, and many others. Nuclear weapons, far from being "essential to preserve peace", as the current NATO doctrine has it, are in the logic of the NPT an unacceptable risk to humanity; which means that it is their elimination, not their retention, that is essential to security. I want to conclude with a few suggestions for Canadian action priorities. The first, and really most urgent, is for Canada to rediscover its traditional of disarmament diplomacy. Canada has an important history of active support for nuclear disarmament. Later today you'll be hearing from two terrific former Canadian Ambassadors for Disarmament - they and many other Canadian diplomats and officials have been deeply engaged in bringing constructive Canadian influence to bear upon the NPT Review Process and other multilateral disarmament forums. Of course, there has always been a strong element of ambivalence in Canadian disarmament policy. Remember that, when Canada joined the newly-negotiated NPT in 1968 as a non-nuclear weapon State, some 250-450 nuclear weapons were deployed with Canadian forces in Canada and Europe. Put another way, in numbers of warheads, Canada's arsenal was a lot bigger than is China's today. While all nuclear weapons had been withdrawn from Canadian territory or deployment with Canadian forces by the early 1980s, direct participation in nuclear weapons-related operations continued, and remains today, through membership in NATO and NORAD. In recent years, certainly at the highest levels of Government, ambivalence seems to have turned to indifference. The Harper Government has not rejected Canadian policy in support of the elimination of nuclear weapons, but neither has it championed it. The first priority now needs to be a clear decision to re-assert Canadian disarmament diplomacy. It is urgent that the Prime Minister and Foreign Minister, as should every Prime Minister and Foreign Minister, find early and prominent opportunities to publicly address nuclear disarmament and reaffirm Canada's commitment to a world without nuclear weapons. A second priority is to recognize that an important impediment to disarmament is a seriously flawed set of disarmament institutions. The Conference on Disarmament has been famously deadlocked for more than a decade - and recent reports of a breakthrough turned out to be premature. Multilateral disarmament will continue to founder in the absence of disarmament machinery that is effective and trusted. Canada has prominently advanced proposals for shoring up the disarmament institutional infrastructure. An innovative proposal to take key issues out of the CD and pursue them in specially created working groups mandated by the General Assembly, was a case in point a few years back. Canada's effort to strengthen the NPT's institutional and accountability mechanisms is an important initiative that Canada has persisted in throughout the current NPT review process. Some of the most energetic opponents of that effort are members of the G8 - which suggests using the forthcoming G8-G20 meeting in Canada to try to shore up support. To make headway will require Canadian leadership that has the courage of its formal policy declarations, supplemented by a coherent strategy and a diplomatic offensive to gather a credible supporting coalition of like-minded States. A sub-element of institution building is the need to enhance and regularize the role of civil society in the NPT review process. The research and public engagement work of disarmament NGOs and think tanks is widely recognized as an important element of developing the political will to act on the particulars of the disarmament agenda. In 2003 Canada submitted a working paper to the NPT to encourage a more prominent role for civil society and diplomats actively pursued support for the initiative. The Harper Government has not only given up on advocacy on the matter, but has ended the long-standing practice of including civil society representatives on its delegations to the NPT Review Conferences. Canada has also championed Transparency and Reporting in the nuclear disarmament and nonproliferation regime. Institutional fixing and transparency regulations definitely lack an air of the heroic - these are not causes likely to enflame public passions. But this is a case of the mundane being not only important, but essential. These are foundational questions of accountability and of the ending of nuclear impunity. In 2000 the NPT Review Conference agreed on a provision for "regular reports" on progress made in implementing Article VI. The nuclear weapon States have actively resisted the idea that there is actually any actual multilateral transparency obligation involved (as distinct from bilateral transparency/verification), but the degree to which nuclear weapon States are prepared to report reflects the degree to which they regard themselves as accountable to other States Parties to the Treaty. It is a principle that Canada has championed and needs to continue to press with some vigor. Finally, we need the Government to acknowledge that while progress toward a world without nuclear weapons will obviously involve a broad range of incremental measures and agreements, ultimately, all such measures must be brought together in a single umbrella or framework convention. Thus, Canadian policy should explicitly call for, and work toward, a nuclear weapons convention that sets a clear timeline for irreversible and verifiable nuclear disarmament. The nuclear threat is an eminently solvable problem. Compare it with all the other perils this troubled planet faces: from the economic crisis, to climate change, energy deficits, burgeoning pollution, acute water shortages, unrelenting hunger, grossly inadequate health services, and chronic armed conflict. Solving these problems requires a vast array of complex social and behavioral transformations. But nuclear disarmament really only needs only a few clear decisions by a relatively small cadre of leaders. A very small number of leaders can decide to take weapons of high-alert and immediately make the world a much safer place. Similarly, it takes only a small number of leaders, most of whom have now declared their commitment to a world without nuclear weapons, to make the decisions needed to progressively remove weapons from deployment and into the dismantling shops. To be sure, they need our help to make those decisions, and that's what we're about today and in the days and years ahead. Given that NATO strategy is increasingly out of sync with the advancing nuclear disarmament imperative, the 2009 NATO Summit created a potent opportunity to rethink and restate its strategic doctrine in terms that a) welcome the groundswell of calls for a world without nuclear weapons; b) acknowledge that regional insecurities as well as existing nuclear arsenals are among the reasons that some states and even non-state actors seek nuclear weapon capabilities; c) confirm NATO's commitment to the objectives of the NPT, i.e., a world free of nuclear weapons; and d) commit NATO to security and arms control policies that are designed to achieve the nuclear disarmament promised in Article VI of the NPT. Both the rationale and the language for this new approach to nuclear weapons are available in the burgeoning anthology of nuclear abolition statements, as well as in the logic on which the NPT was originally constructed - namely, that nuclear weapons, far from being "essential to preserve peace", are ultimately an unacceptable risk to humanity; that their elimination, not their retention, is essential to security. Rather than asserting that the "strategic nuclear forces of the Alliance" are "the supreme guarantee of the security of the Allies" (para 62), NATO's new Strategic Concept must reflect the new reality articulated by Gorbachev's warning that "with every passing year [nuclear weapons] make our security more precarious." Indeed, a new NATO statement could borrow from the 2008 statement by Henry Kissinger and his colleagues and thus also acknowledge that "without the vision of moving toward zero, we will not find the essential cooperation required to stop our downward spiral" toward greater insecurity. With a formal acknowledgement of the risks of a nuclear-armed world, and with abolition endorsed as a strategic objective and core value, it would be understandable for NATO to note, as does the Obama nuclear abolitionist policy, that the road to abolition must be traveled by all nuclear weapon states together. The 1999 document makes this point (para 21) with the simple acknowledgement that "the existence of powerful nuclear forces outside the Alliance also constitutes a significant factor which the Alliance has to take into account if security and stability in the Euro-Atlantic area are to be maintained." Although in 1999 the paragraph read as a rationale for indefinite retention, in a new context of abolition it would become a reason for accelerated mutual disarmament. The current Strategic Concept says that the fundamental purpose of NATO nuclear forces is "political" - to prevent coercion and "any kind of war" (para 62). On this point Canada offers alternative language. The Government's 1999 response to a Parliamentary Committee report on nuclear disarmament (Graham 1999) agreed with the Committee recommendation that Canada "work consistently to reduce the political legitimacy and value of nuclear weapons in order to contribute to the goal of their progressive reduction and eventual elimination" (Government of Canada 1999). The current Strategic Concept emphasizes repeatedly (in paras 42, 63, and 64) the importance of retaining tactical nuclear weapons in Europe, for deterrence and especially to link Europe and North America. In a new context, that line of reasoning should be superseded by one reflected in the counsel of Helmut Schmidt regarding his own country: "all remaining U.S. nuclear warheads should be withdrawn from German territory." Thus NATO should require the removal of the remaining few hundred nuclear weapons (all of them non-strategic) from European soil, in support of longstanding international calls that all nuclear weapons be returned to the territories of the states that own them. Such a measure would be especially welcomed by non-aligned states, if the concerns they express at successive NPT Review Conferences are any measure. Not only do they doubt that the presence of nuclear weapons on the territories of European non-nuclear weapon state parties to the NPT is essential to regional solidarity, they regard the removal of nuclear weapons from the territories of non-nuclear weapon states as essential for full compliance with Article I of the Treaty. The NPT requires that "each nuclear-weapon State Party to the Treaty undertakes not to transfer to any recipient whatsoever nuclear weapons or other nuclear explosive devices or control over such weapons or explosive devices directly, or indirectly." In the context of denuclearizing Europe it will be necessary to take up the Kissinger call for a dialogue "within NATO and with Russia, now begun by Presidents Obama and Medvedev, on consolidating the nuclear weapons designed for forward deployment to enhance their security, and as a first step toward careful accounting for them and their eventual elimination." Progress toward that end will obviously require a new kind of strategic relationship with Russia. This in turn will require an end to what has been a remarkably cavalier attitude toward Russia's concerns. Step 9[v] of the "practical disarmament steps" adopted in 2000 at the NPT Review Conference commits nuclear weapon states to "a diminishing role for nuclear weapons in security policies to minimize the risk that these weapons will ever be used and to facilitate the process of their total elimination" (Review Conference 2000) - a commitment not honoured by the eastward geographic expansion of the American nuclear umbrella. Furthermore, Russia accounts for about 6 per cent of world military spending while NATO states collectively account for 60 per cent (IISS 2008, pp. 443-448). As long as Russia regards this overwhelming conventional force as, not necessarily an overt enemy, but a challenge to its regional interests, it is unlikely to be amenable to significant further reductions to its substantial arsenal of tactical nuclear weapons. Two other references to nuclear weapons in the current Strategic Concept are badly dated. The discussion of arms control (para 19) is rooted in the 1990s. A new Strategic Concept should emphasize the urgency of disarmament as essential to preserve peace and welcome new prospects for resumptions of US-Russian strategic arms reduction talks, noting the importance of early engagement in the process by all states with nuclear weapons. The document's reference to NATO-Ukraine relations (para 37) is also rooted in the early post-Cold War period. While it emphasizes and welcomes the Ukraine's new status as a non-nuclear weapon state, the central point behind the reference is NATO enlargement. In a new document, the issue of NATO membership should be recalibrated, not only to take account of the legitimate security fears and interests of Russia, but also to focus on the development of mutual security arrangements throughout the entire region of the Organization for Security and Co-operation in Europe, rather than the expansion of a military alliance of selective states within the region. John Ibbotson, "Why Harper needs a nuclear deal with India," 12 November 2009. http://www.theglobeandmail.com/news/politics/why-harper-needs-a-nuclear-deal-with-india/article1360161/. John Clearwater is the leader in documenting the history of nuclear weapons in Canada. In his 1998 book, Canadian Nuclear Weapons: The Untold Story of Canada's Cold War Arsenal (Dundurn Press) he concludes that "at the height of the Canadian nuclear deployments, the greatest number of weapons which could have been available to Canada would have been between 250 (low estimate) and 450 (high estimate)," p. 23. The November/December 1999 issue of the Bulletin of the Atomic Scientists reported (by Rpbert S. Norris, William M. Arkin, and William Burr, pp. 26-35) on a Pentagon document received through the Freedom of Information Act entitled: History of the Custody and Deployment of Nuclear Weapons: July 1945 through September 1977. One graph shows a peak of just over 300 nuclear weapons in Canada in the late 1960s. The Clearwater upper end estimate is higher because his totals include the weapons with Canadian forces in Europe, while the Pentagon report would show those as being in Germany. It was also under Trudeau's watch that all the nuclear weapons within Canadian territory and deployed with Canadian forces in Europe were withdrawn - a development that was primarily a function of technological advances in fighter-interceptor aircraft and conventional air-to-air missiles. The North American Aerospace Defence Agreement -- While the NORAD air defence role declined significantly when the main Soviet threat switched to intercontinental ballistic missiles from bombers, NORAD was also the primary ballistic missile early warning agency. What could Canada constructively contribute if it were to embrace the immediate pursuit of a nuclear weapons convention? Canada could and should institute informal international consultations involving a core group of like-minded states and representatives of civil society to thoroughly explore the focus, scope, verification, and other elements relevant to a nuclear weapons convention. One outcome of this consultation could be an informal international Contact Group or Nuclear Weapons Convention Action Group to systematically press the issue on the international stage. In the meantime Canada should be thinking about the particular contribution it could make to the international process. The UK, sometimes working with Norway, has been focusing on verification measures linked to a nuclear weapons convention.4 Canada was once active in this area, and still is involved in CTBT seismic verification. Consideration could be given to reviving some of this work to bolster the UK-Norwegian initiative. The Alliance's Strategic Concepts have gone through successive changes. The original focused on collective operations for the territorial defence of its member territories; in the mid-1950s "massive retaliation," including nuclear, was emphasized; in 1967 "flexible response" replaced "massive retaliation"; in 1991 there was a new emphasis on cooperation with former adversaries; and in 1999 a commitment was added to wider Euro-Atlantic peace and stability and non-Article 5 operations. The current debate is focused on further development of out-of-area operational guidelines. Throughout this evolutionary process the Alliance has always agreed on a nuclear component and affirmed nuclear deterrence (see NATO 2002 and Hatfield 2000). NATO. 1999. The Alliance's Strategic Concept, Approved by the Heads of State and Government participating in the meeting of the North Atlantic Council in Washington D.C. on 23rd and 24th April 1999. http://www.nato.int/docu/pr/1999/p99-065e.htm. Point forcefully made in, Steinbruner, John. 2009. Engaging with Russia: Managing risks, repairing rifts. Arms Control Today. January/February. http://www.armscontrol.org/act/2009_01-02/Steinbruner.